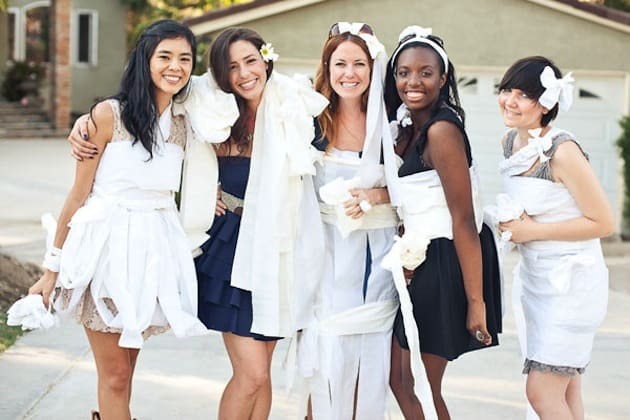 A bachelorette or hens party is a night for the bride to be to remember forever. 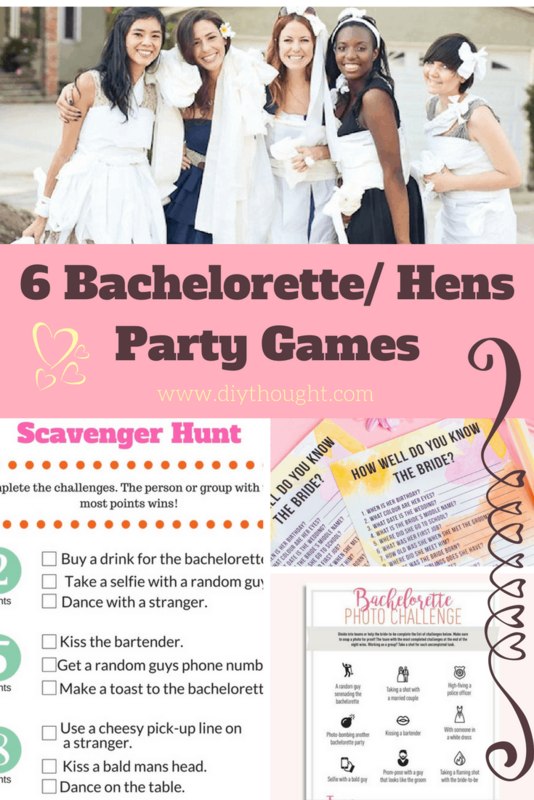 Ensure fabulous memories with these 6 fun bachelorette/ hens party games! If you are responsible for the party planning then you know one of the hardest parts is finding fun and classy games and activities to keep the girls entertained but we have all the games covered right here. Go Hen provides a list of 16 hilarious hens games. 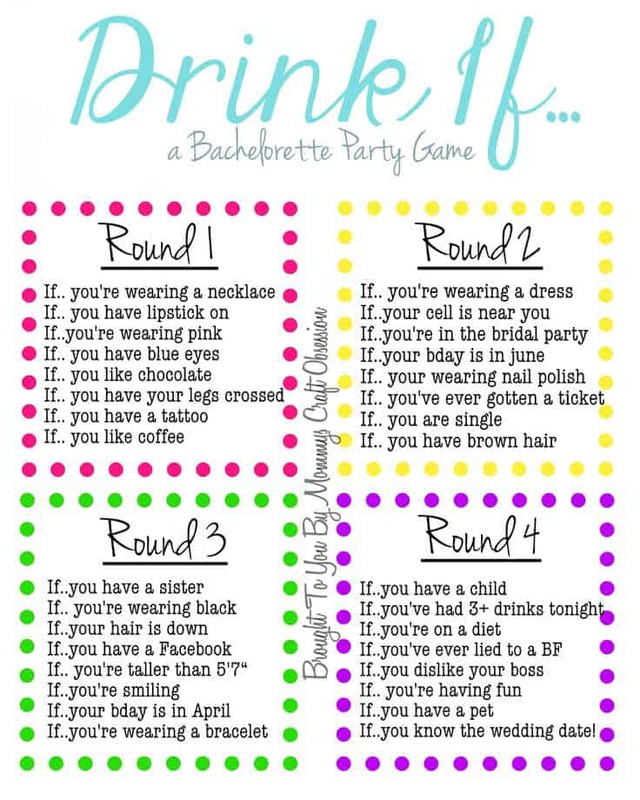 The game can be played the way suggested or alternatively get the bride to answer the questions with each incorrect answer a shot to be drunk, an extra challenge for the night added or something funny added to the hen’s outfit as punishment. 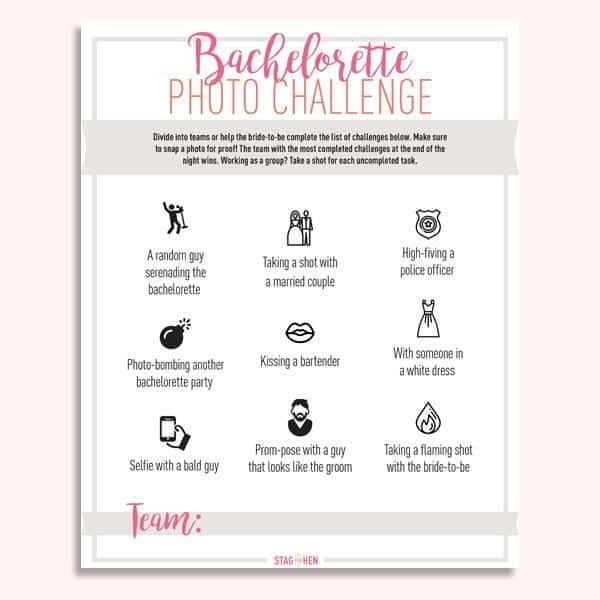 Divide into teams or help the bride-to-be snap photos of these fun challenges. Team games work well with a more reserved bride-to-be! Visit Stag And Hen to get this free printable. 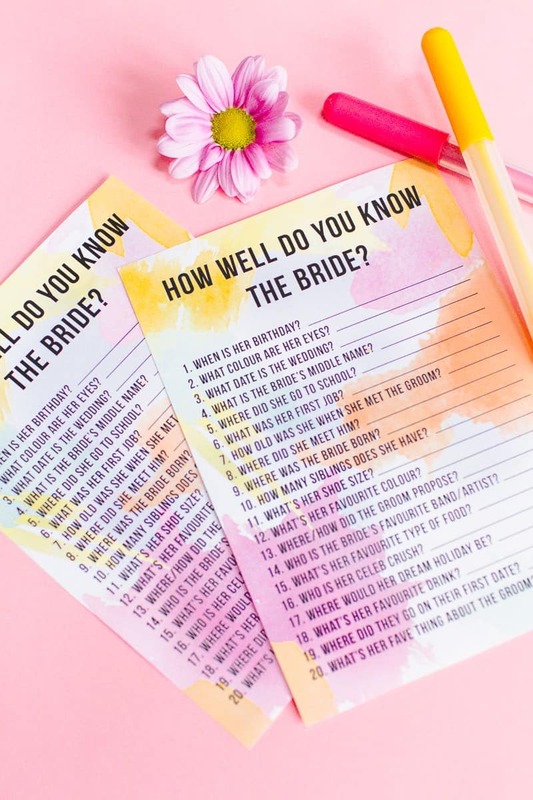 How well do you know the bride is a great game to start the day or evening off with. This game is a great way to get the guests chatting and the person who guesses the most correct can win a small prize. Get the printable from Bespoke Bride. 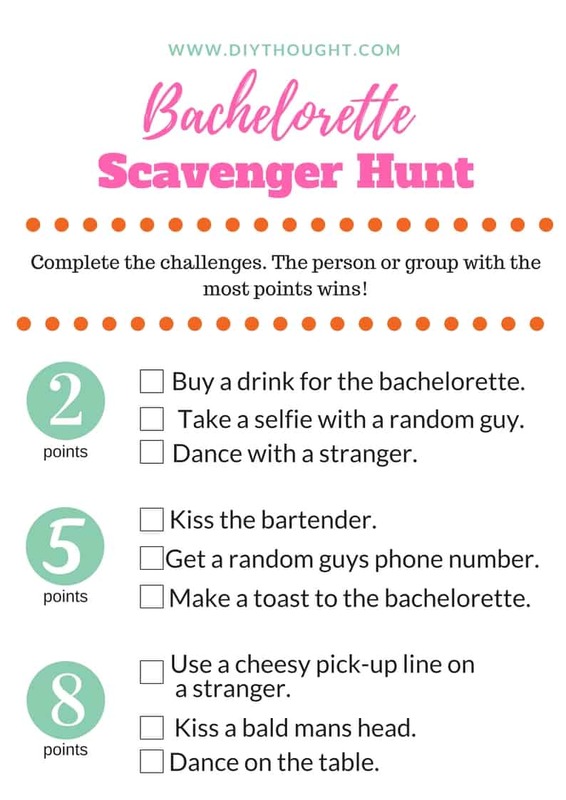 A bachelorette party wouldn’t be complete without a scavenger hunt. Tick off the items as they are done and the person with the most points wins! Click here to get our free printable. Another great game to play at the start of the night to help the guests get to know each other and relax. Source found here. 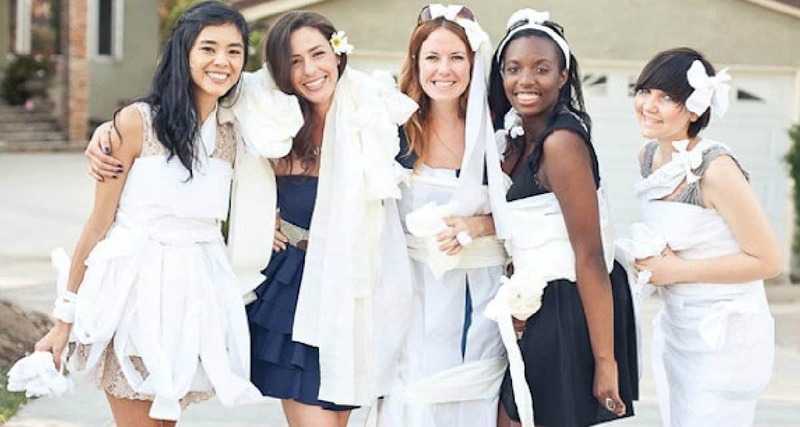 Break the group into teams and create the wedding dress of dreams using toilet paper! This is a fun game which guarantees lots of laughs. Click here to find out more about this game.